Good morning my crafty WOYWW friends! For those of you that aren’t familiar with WOYWW (What’s On Your Workdesk Wednesday), head on over to Julia’s Stamping Ground and you will find desks from all around the world for What’s on Your Workdesk Wednesday where we get to snoop on other crafter’s desks. 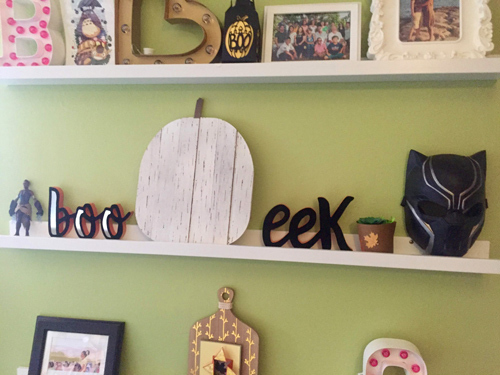 It’s Halloween here and I didn’t let it slip by without a little decorating in my craft room. 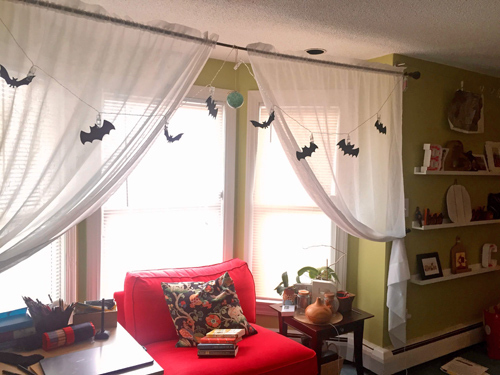 I put up my little signs and cut out bats on my Silhouette to hang in my book nook. That’s as scary as I get. 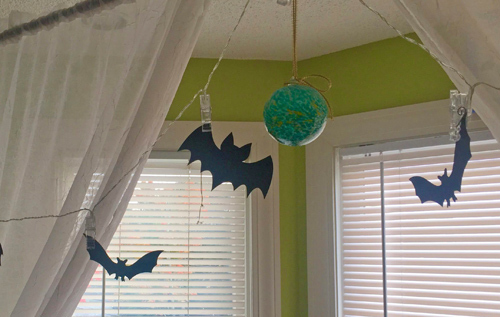 I don’t care much for the creepy stuff but I didn’t want to pass up the opportunity to spice up my craft room a bit. Now on to my desk. I was working on a little coloring yesterday while my boys worked on their homework. 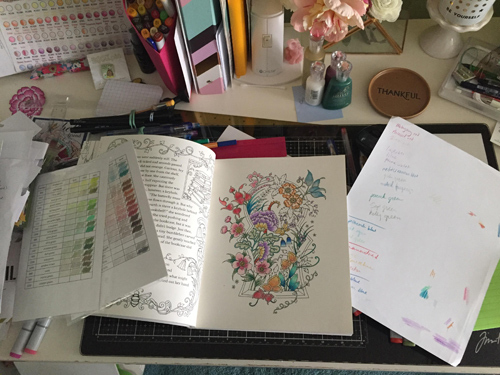 This coloring book is the beautiful ‘Ivy and the Inky Butterfly by Johanna Basford. I love how this is both a storybook and coloring book. You can see my color combinations I wrote them out as I used them. I discovered a few that will definitely be added to my favorites list. You can also see some of my Nuvo drops. I went crazy and snagged a bunch a few months ago and although they are similar to Ranger’s Distress Stickles, oh they are so much more. So I am having a blast playing with them. You can also see my Prisma color swatches that I always have on hand when I color. I am still working on my commissioned project and yesterday I made some good progress. I will continue once I finish this post so once again I will take a few days to get around to desk visits. I hope you all have a wonderful day and Happy Halloween! Hello! 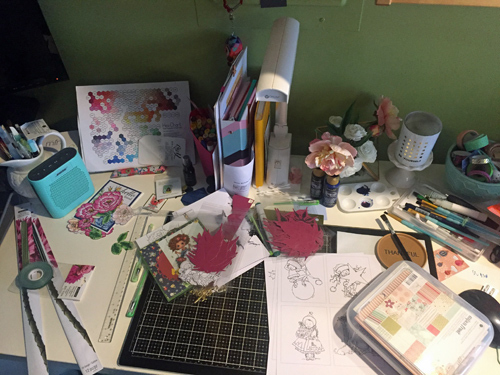 I am not scheduled to post today since I have been trying to post at least every other week but I looked at my hot mess express desk today and said to myself, “Why not?”. So let’s dig into this clutter. On the left you see my pitcher filled or should I say stuffed with Stampin up markers and some paint brushes. My goal is to move the markers and only have brushes in there since I have been using them a lot more to paint. Below that, you see my latest purchase – floral wire and tape for an upcoming craft project. Right beside that are some flowers I colored up and need to be placed on a card. You can also see a completed card peeking out from under the paper cut files from my Silhouette. I am working on a Japanese maple so I need to color them up before assembling them into a home decor item. You can also see some printouts on Copic x-press paper to be colored for a custom order I am working on. I grabbed my container with some of my 6×6 Christmas paper for color combination inspirations. I didn’t clean up my paint from two weeks ago (yes, I said 2) so you can see that and the dirty paint brushes. You can also see a really cool book pin my husband bought me. I am a bit of book nerd and love all things book related. As I mentioned, I am working on a custom order so I will take a few days to get around to visit your desks. Have a blessed day and keep crafting! Over the last several years, Ireland and others in the YA world have been using Twitter to call out what they see as an enduring tradition of racist nonsense in publishing…As Ireland has repeatedly taken pains to point out, the world of children’s and young-adult literature is overwhelmingly, disproportionately white. Of some 3,700 books for children or teens that were published last year, just 340 were about children or teens who were black, according to the Cooperative Children’s Book Center at the University of Wisconsin. Of those, just 100 were written by black authors. Ireland argues that the industry should publish more books by nonwhite authors, and that white authors should think more carefully about how they represent black and brown people in their books. This book was fantastic. I heard about this book from the Book Riot podcast and I was interested because I liked how it was an alternate history during the civil war time. I was also thrilled that the protagonist was mixed race. The cover art grabbed my attention and it appealed to me that the author was a black woman. As I quoted earlier, there is a disproportionate amount of non-white authors published in the industry today. I’m always trying to make a conscious effort to support black authors. Because if we don’t buy the books written by people of color then the publishers can say that they didn’t create or generate the sales that they need to be publishing books and we will miss an opportunity to experience diverse talent. I won’t lie when I say that I was a little hesitant when I saw the word zombie in the description. But the idea of an alternate history where blacks during the civil war were trained in weaponry and etiquette. Well, I just had to see this book through. The story was easy to get into I really like the main character, Jane, who was very strong and smart. Structurally, I like how at the very start of each chapter you would see an excerpt from a letter Jane wrote to her mother. 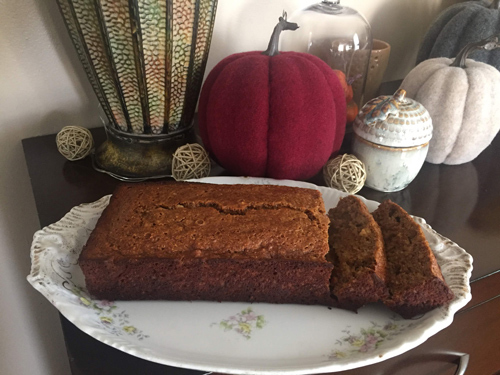 Since she had to live apart from her mother at the boarding school, she wanted to keep in touch with her mother and we saw this represented in the letters she wrote to her mother. Of course, you get to see the boarding school experience through Jane’s eyes and hear a lot about how she gets along with the fella girls. You also get glimpses of her past where she used to live on Rose Hill with her mother and the story unfolds really slowly chapter to chapter. I like that it is spread out throughout the story. The author doesn’t throw all the information at you in the beginning. It is delivered at a pace that really enhanced the experience of the book. 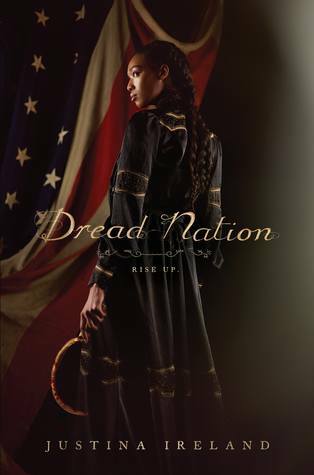 Although the story is a fantastical alternate history of the civil war era, the issues of race ring familiar today. We aren’t in that great “melting pot” that we often talked about when I was growing up. We can’t be when people have racial bias and laws that govern exacerbate those feelings. There were many action scenes much of which took place in the last quarter of the book and I just couldn’t put it down had to finish it. I believe it is the start of a series. Overall, I thoroughly enjoyed it and looking forward to the next one. I give this book 4 1/2 butterflies.